RIGHT hand resting lightly on the barre, Dian Wilson slowly extends her left foot into tendu front and ­return, tendu side and return, tendu back and ­return. She smiles into the floor-length mirror of the Gold Coast dance studio. The beautiful ballerina ­reflected there is familiar, though someone she'd long thought was lost forever. Wilson grew up on a farm outside the town of Tumbulgum, in northern NSW. Her family had no electricity, no car and money for little more than basic necessities, yet Her mum, Millie Forsyth - raised an orphan in St ­Joseph's Cowper Children's Home near Grafton - instilled a love of reading, music and dance in her two daughters. At bedtime, Millie read to Dian and younger sister ­Stella from books about the royal family, ballet and fairies. 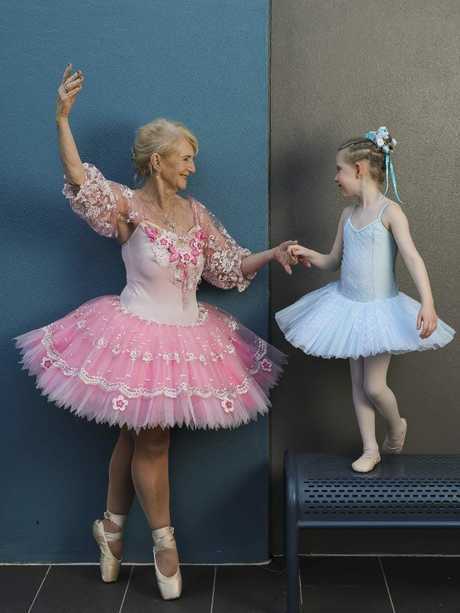 The little girls imagined themselves as Princesses Elizabeth and Margaret, and as prima ballerinas Margot Fonteyn and Anna Pavlova, dancing to Millie's inspired choreo­graphy. Saturdays were the highlight of their week. 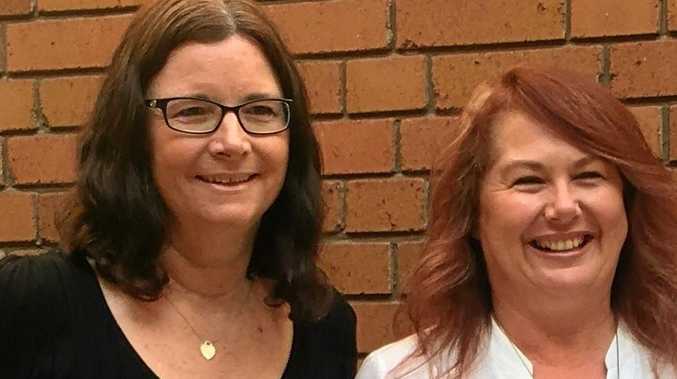 The trio would walk several miles to catch a ride into Murwillumbah, 14km away, where Dian and Stella learnt ballet, tap and Scottish dancing in the Presbyterian Church Hall. Performing in the local music festival was an annual highlight. "My main memory is of feeling so beautiful when I danced," Wilson recalls. "I lived for ballet. I ­remember looking in the small studio mirror and seeing, not myself, but Margot Fonteyn. I felt beautiful, I felt light and like a fairy. I did not ever want the dance to finish and this feeling would last for days." Dian Wilson and her granddaughter June practice together. Picture: Mark Cranitch.